Much ado has been made about the Dodgers' historic three-shoutout start, tied with the 1963 Cardinals, who also opened with three straight shutouts and went 32 innings without allowing a run. But wait a second, the Padres are also being called out as being the only team to have been shutout in its first three games of the season. But how can this be? 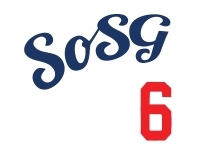 Thanks to SoSG's intrepid analytics department, we've researched it to discover the 1963 Cardinals opened the season with a strange two-game series against the Mets, before a two-day rest followed by Game 3, a Saturday game at home against Philadelphia, for the Cards' third shutout. The Cardinals then played a Sunday doubleheader, where the Phillies ended up scoring in the first game's sixth inning, to break the scoreless streak. A two-game series to open the season, followed by two off-days and a Sunday doubleheader, just sounds absolutely bizarre given today's scheduling standards. Given the Dodgers' many injuries, I'm glad we don't have a schedule like the 1963 Cardinals had. With the early season double header, I thought that maybe it was due to a rain out. Then I looked at the schedule for that year and saw that they played 15 double headers! Guys would be falling down dead nowadays if they played that schedule.